Ford Shelby GT500 Forum > Other Vehicles > GT350 > Decided to order a GT350! Well, I have made my decision. 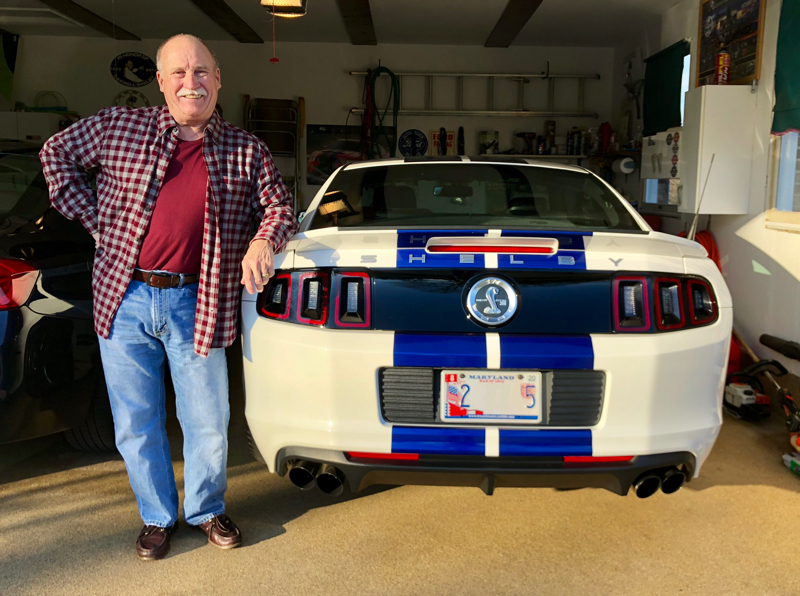 After having driven a 2018 Shelby GT350, I have made the decision that I will sell or trade in my 2013 GT500 and order a 2019 GT350. The car has sufficient power for my needs and the other features are just off the chart. Needless to say, I was very impressed. My dealer has an allocation waiting for me, so once I get home and fill out the paperwork, it will be ordered. If I’m lucky, I’ll be driving it to Shelbyfest 2019!!! Now the waiting begins! 007snake, Goose17, Carmine_GT500 and 11 others like this. Last edited by 03reptile; 02-07-2019 at 10:49 AM. Re: Decided to order a GT350! If I told my wife I am going to trade in the car we'll have paid off in a few months for a new one she'd probably tell me to find a new wife. Good luck with your purchase. Let us know your estimated wait time for delivery. 03reptile, Carsten89, Goose17 and 3 others like this. Congrats. It really is better suited to you and your driving style. That V8 will seem like it never stops revving, that'll be so much fun. Color?? 03reptile, 007snake, Goose17 and 1 others like this. Excellent, Mike! Congrats on the big decision. Can't wait to see it when it arrives. I'll second Eric's question --- color? Knowing Mike...the color will be white with blue stripes! Congrats on picking a fantastic car Mike. 03reptile, Goose17, TedShred and 1 others like this. Congrats on joining the dark side, or is it the light side since it weighs less? Either way can't wait to hear what specs you chose for your build. 03reptile and Goose17 like this. Is there any other colour combo? Funny! I have a very understanding wife who figures my car fanaticism is a fair trade for the continuation of the marriage! She just now told me, "Now I have to listen to you obsess about the car until it arrives!" Patient women! I'll be ordering a white one (of course) with the blue stripes in my continuing tribute to the first GT350's which were all white! Some things cannot be meddled with! (Timmy thinks I'm an idiot!) I'll get a few options such as the technology package and the upgraded leather sports seats with all the accoutrements. The 2019 has a lot of added features that were absent and extra cost options on the 2018. The driving experience was quite surprising. The interior was significantly more upgrade than the 2013 and had features that I really will enjoy. It is a striking car just to look at and is better looking (IMHO) than the new 2020 GT500. The real smiley face is the exhaust note of the car and the ability to flip a toggle switch to take it from Normal to Sport. In Sport, you will get the attention of dogs, all drivers, and purists!! The car is quiet and comfortable on the highway (normal mode) and has an on center feel very much like the BMW's. You can also set the suspension to Normal or Sport. There is a notable difference. I was really impressed with the overall feel, handling, and sound of the car, and I think the power and torque are well within the range of acceptability. The clutch is twice as light as the GT500 and take up is great. Shifter is equally nice. Although the car does not have the low end torque that the GT500 provides, I think while I'm spinning and modulating the gas pedal on the GT500, I'll be hooked up and gone in the GT350. When it get's over 3000RPM, it just pulls like a locomotive! As it was new, I didn't take it to redline, but it gave me enough feedback to assure me that it will more than satisfy my need for speed! Anyway, I'm glad I got an opportunity to drive one before signing my name on the dotted line. Thanks again to SilverSnake and Shelbygt500_753hp for their help in bringing this test drive to fruition! 007snake, Goose17, Ford Fest and 7 others like this. Last edited by 03reptile; 02-07-2019 at 11:33 AM. Congrats, Mike. I doubt we'll see it at Shelbyfest if you have to order one.